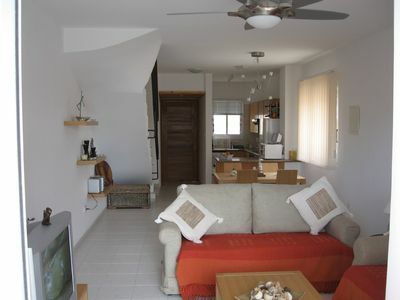 A beautiful and spacious 3 bedroom property on a luxury beach front development. This property has the capacity to sleep 8 people. On arrival you will be greeted by the swimming pool, it has roman steps which are lit in the evening making getting in very easy for the young and old. 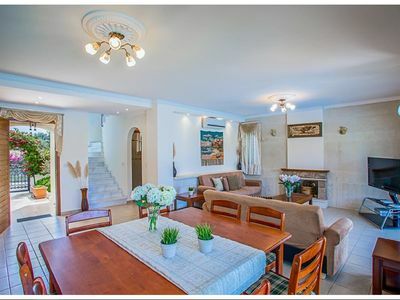 On entering the property you notice that it is a spacious property. 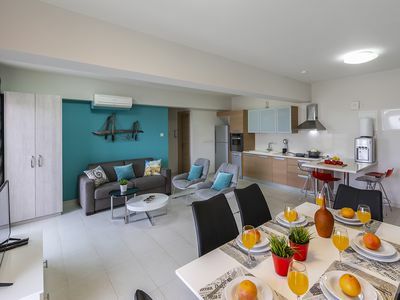 It has a well equipped kitchen,alternatively as you are on holiday let the men cook on the BBQ whilst you relax on the sun lounger by the pool whilst soaking up the sun. There is a flat screen TV which has satellite and a DVD player if you want to escape the sun. Downstairs also has the convenience of a toilet and shower room. 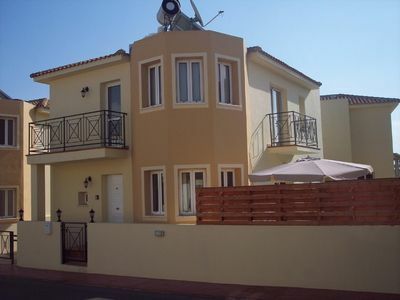 The first floor has two spacious double bedrooms with balconies and sea views. 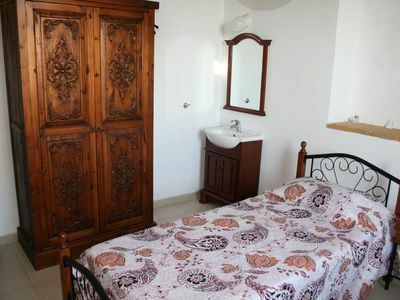 The third bedroom is a twin room. All room have adequate wardrobe and drawer space. 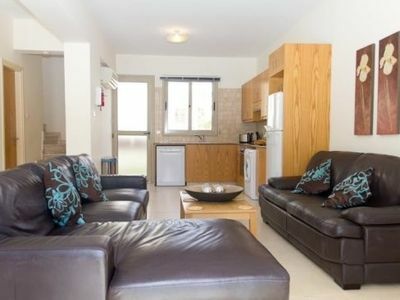 The property has air conditioning throughout for your comfort. 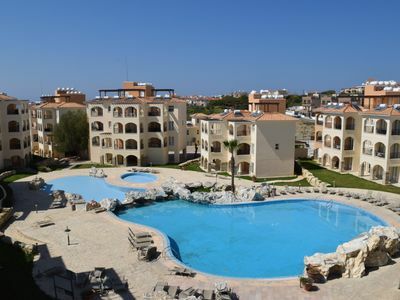 Polyxenia is a luxury development situated on the edge of Pernera with it's own beach cove boasting a bar, free sunbeds, safe children's play area, swimming pool and Jacuzzi, which are provided by Polyxenia Isaac restaurant. There is also a selection of water-sports and diving activities available at the beach. There is a bakery on site and two great restaurants on the door step. If these are not to your taste you are in the heart of Pernera where you are sure to find something which suits your taste. Try Thomas' shack for some great food not to be missed. You have a water park suitable for kids just round the corner. 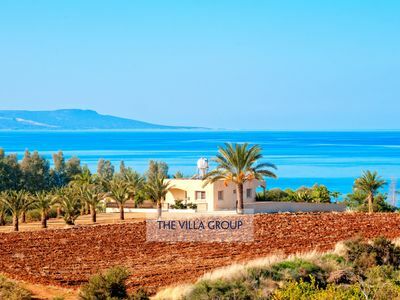 The tourist resort of Protaras is less than 15 minutes stroll along a beautiful beach board walk. Enjoy a leisurely stroll taking in the beautiful crystal clear waters, and if you are lucky you might feel a sea breeze. if you cant make it all the way stop off at one of the cafe's and enjoy a mouthwatering waffle and ice cold smoothie. 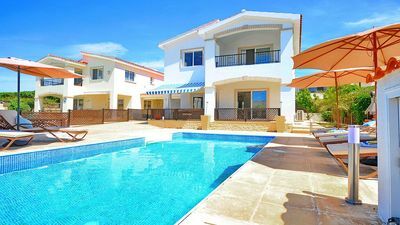 Protaras has all the amenities of Pernera however offering a much wider choice. Here you will find the famous fig tree bay, you need to arrive early to avoid disappointment. 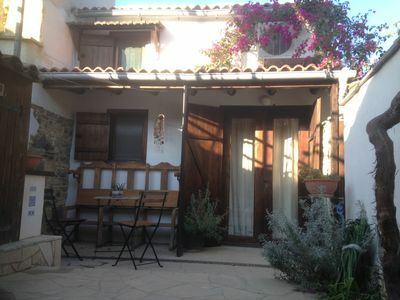 3 bedroom well furnished villa with private swimming pool located in Pernera. 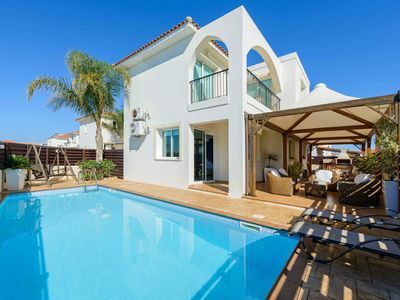 Luxury 3 bedroom villa with private pool located in a private cul de suc. 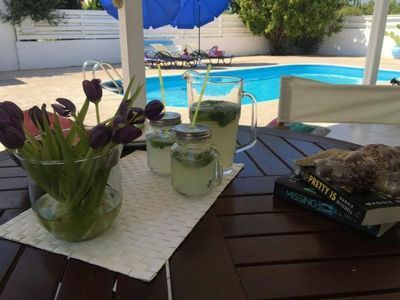 Protaras Holiday Beachfront Suite Marianna. Amazing View. 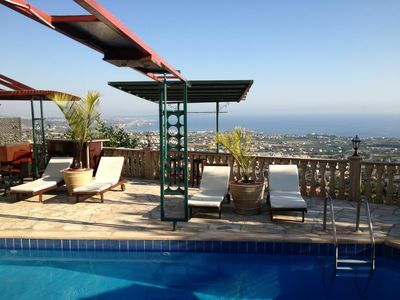 Traditional style bungalow villa with breathtaking panoramic views of the sea.